If you like to plan your holidays in God's own Country, there are many attractive tourist places in Kerala to enjoy any kinds of holidays. Kerala is one of the best tourist locations in the world that can hold the attention of tourists and that’s the reason why it is known as ‘Gods Own Country’. Kerala is the land of beaches, backwaters, lakes, houseboats, Ayurveda, and wildlife, where you can experience every beauty of nature. The tourists from all over the world get attracted to Kerala due to its rich culture and heritage. 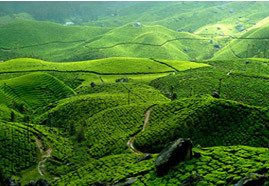 Destinations of Kerala is very apt for family vacations, romantic and honeymoon trips. Every region of Kerala has attractive and beautiful destinations, and there are many beaches, hill stations, lakes, backwaters, waterfalls, museums, historical places and dams in that are termed as the unavoidable places to visit.